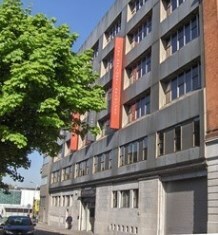 Preparatory work for the major redevelopment of the National Archives of Ireland (NAI) is about to commence. This project, which is funded by the Department of Culture, Heritage and the Gaeltacht under Project Ireland 2040, will see the development of new purpose built storage facilities at the NAI's premises in Bishop Street, Dublin 8. The warehouse* which has been used as an interim storage facility must be emptied to facilitate enabling and construction works for the development of new archival storage vaults. This first element of the project will entail the transfer of some 95,000 archival boxes off-site to ensure their continued preservation and to eliminate any risk of damage through being retained in direct proximity to the construction works. In order to allow staff to carry out preparatory works for the transfer, it will be necessary to close the NAI and its Reading Room to the public from Monday 22 October to Friday 26 October inclusive. With Monday 29 October being a bank holiday in the Republic of Ireland, the Reading Room's normal opening hours will resume on Tuesday 30 October. * The warehouse currently holds records which have been digitised and are not required for daily production in the reading room, in addition to various series of records which are closed to public inspection or which have yet to be catalogued.